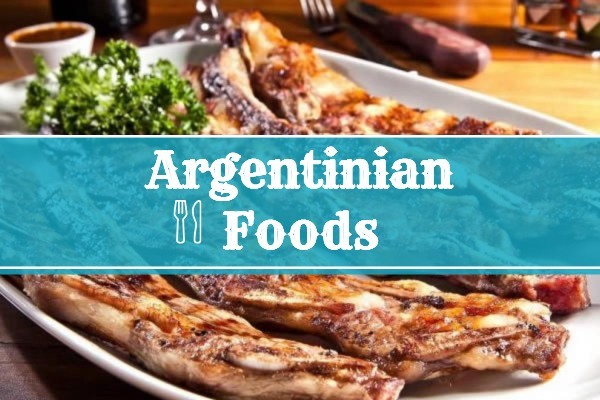 4rentargentina Blog > Information for Tourists > Argentine food: what do they eat in Argentina? As you probably know, Argentina is a multi-cultural country, and so is its food. Immigrants from different parts of the world have brought with them recipes which have been adapted locally and included into its traditional cuisine. This, mixed with existing native dishes, has developed into a food culture of its own. Let it be said, then, Argentina is not only about Tango and Messi, it’s also about trying exciting dishes and enjoying gettogethers, as meetings that aren’t built around some kind of food are practically soulless! Meat is the number one choice when it comes to food. If we had to think of a national dish, Argentine barbecue would most likely be on the top: the famous asado. 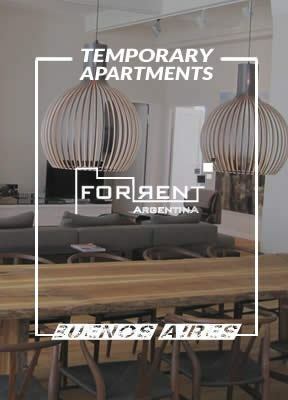 If you walk around Buenos Aires, you´ll most certainly feel its scent walking down the street more than once. Basically, asado is a way of cooking meat: charcoal or wood grilled on a large grill called parrilla. Major beef cuts include vacío and ribs. Pork and chicken also may take part, as well as lamb -typically in Patagonia. Exotic types of meet include llama, vizcacha and mulita. Asado is not only about meat, though. It is mainly a social gathering, where people get together from the moment the fire is being made, talking over Malbec wine, the Argentine strain. Meat is usually served with “mixed” salad, that is, lettuce, tomato and onion. In a typical Argentinian homemade asado, some things are expected to be served before the meat, all of them also grilled on the parrilla. These include chorizo (pork sausage), morcilla (blood sausage), and achuras such as mollejas (sweetbreads), riñón (kidney), and chinchulín (chitterlings). If you were wondering what a parrillada is, here is the answer: assorted pieces of asado appetizers and meat from the grill which is served and shared at parrillas or steak houses. 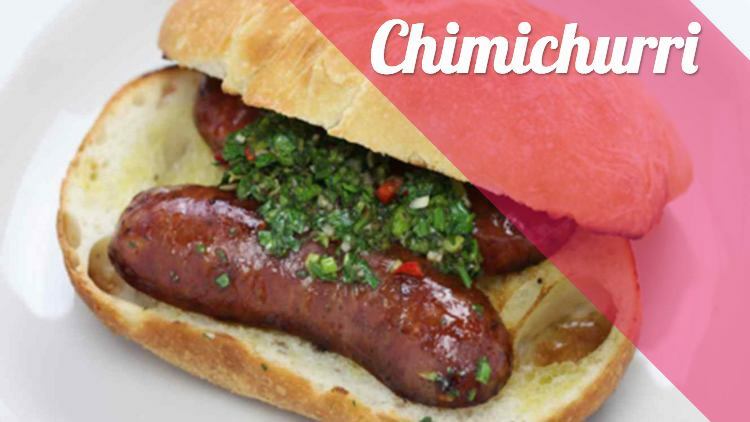 An asado is not complete without choripán, a sandwich made only of chorizo, with chimichurri, of course. Referred to locally as “chori”, it is very popular also as street food around Buenos Aires and it is sold at sports venues during soccer matches. You can also have a provoleta, which is grilled provolone -crisp in the outside, melted on the inside- topped with oregano and other herbs made on a skillet. So, what to eat with steak? Meat in Argentina doesn’t really need any sauce, because it is actually tasty as it is. However, typical condiments include salsa criolla and chimichurri. The former is made of onion, tomato and red pepper. The latter, olive oil, parsley, oregano, onion, chili pepper flakes, and a touch of lemon or vinegar. It has become very popular in New York, as it is used for other things as well, other than meat. The origins of its name are not so clear-cut. One theory basically states that Englishmen living in Buenos Aires in the XIX century referred to this sauce by saying “give me curry” or “che-mi-curry”, using the typical Argentine vocative “che” and the Indian word “curry”, as India was an English colony at the time. Either of the them later derived into the name of this internationally recognized condiment: chimichurri. What is milanesa? Similar to the German or Austrian schnitzel, the recipe is very simple: beef or chicken meat hammered thin, coated in breadcrumbs and then baked or fried. Of course, milanesa was not invented in Argentina. As its name shows, its origins lie in the city of Milan, Italy. Milanesa napolitana, however, is indeed an Argentine creation, the name being a contradiction in itself: Milan vs Naples. Apparently, the cook at Bar Napoli, near Luna Park stadium in downtown Buenos Aires, burned the last milanesa he had, which had been ordered by a very important client. To cover up his crime, he added some tomato sauce, cheese and ham, thus inventing a new form of milanesa, which widely spread and is now served in every restaurant in town, usually with French fries or mashed potatoes. What kind of Italian dishes influenced Argentine cuisine? 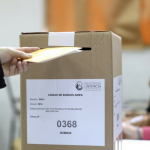 Many families in Argentina follow Italian traditions, as they account for most of the immigrants that arrived in the country in the XIX century. However, Argentinians have made some changes -especially to pizza- and have come up with two local versions: al molde, with quite thick crusts, or a la piedra (stone cooked) with a thinner and crunchy crust. Everywhere, pizzas have to be shared and are served with little tomato sauce and loads of cheese. You can also order faina, a sort of bread made from fried chickpea flour. In Buenos Aires, Corrientes Avenue -near the obelisk- is famous for featuring many pizza parlors, where you can order a slice of pizza standing at the bar. Empanadas can be served as appetizers (especially at steak houses) or it can be a meal in itself. They are basically stuffed dough pockets -with a characteristic fold- filled with mostly anything. Typical fillings include ham and cheese, meat, chicken, corn or spinach, but there are many more options to choose from. Whether baked or fried, they can be homemade, served in restaurants or ordered in for gatherings with friends. This usually solves the cooking problem. Venues selling empanadas may also offer pizza or other regional dishes such as humitas, a corn-based paste folded into a corn leaf. 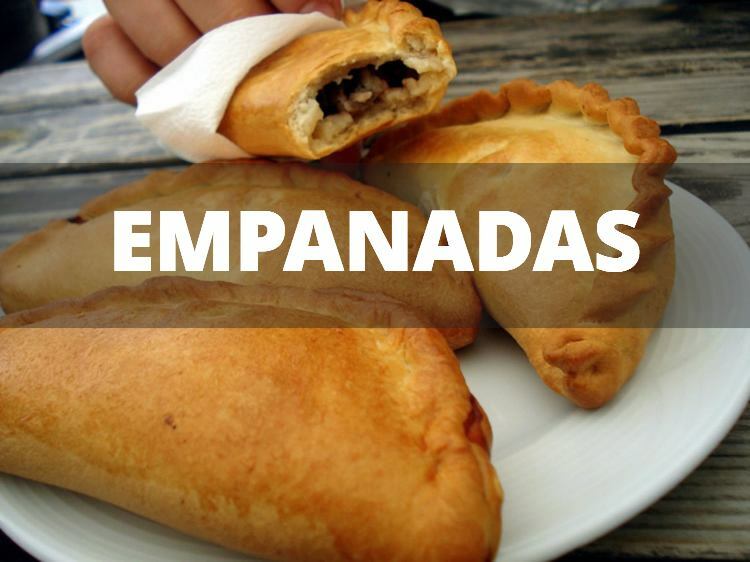 Empanadas differ a lot from province to province, the most typical being the empanadas salteñas (from the province of Salta), which include potatoes in the filling. There are many kinds of traditional stews in Argentina. People usually make them at home in winter, ranging from lentils to rice. However, the most common stew is the locro, made from corn, squash, red chorizo and beef or pork, and served specially on May 25, a major national holiday. Carbonada is also a very popular stew-like meal, made from potatoes, carrots, peppers and sweet corn, topped with fruit, and served in a hollowed-out pumpkin cooked on a parrilla. Finally, other typical warm dishes include Spanish puchero and mondongo, and a local version of the English shepherd’s pie, called pastel de papas (literally potato pie). The latter was not only Evita Peron’s favorite dish, but also Keith Richards’ whim when the Rolling Stones came to Argentina. Literally ‘sweet of milk’, dulce de leche is a caramelized paste made from thickened and sweetened boiled condensed milk. It is definitely a national food, as most Argentine sweets are made with or include it. Anything can have and everything has dulce de leche: alfajores, pastries, desserts, ice creams, cakes, and the list goes on and on… It is also spread on toast for breakfast or at tea time. Bakeries in Argentina sell all sorts of pastries (locally, facturas) by the dozen, medialunas being the most common. Pastries come in a wide variety of flavors and may include custard, dulce de leche, or quince paste filling. Medialunas resemble French croissants but are quite smaller, and there are two kinds: sweet (buttered) or salty (made from grease). Argentinians have them for breakfast, but also in social meetings at any time of the day with coffee or mate. Medialunas are often served in business rendezvous, as snacks. Other homemade pastries include tortas fritas and scones. If you are not so keen on sweets, bakeries also offer these one-of-a-kind treats, locally known as sandwiches de miga. They are basically made with crustless buttered bread, and can have anything you want inside, although the typical is ham and cheese. They can also be taken to social meetings or be found in business events, especially near noon. 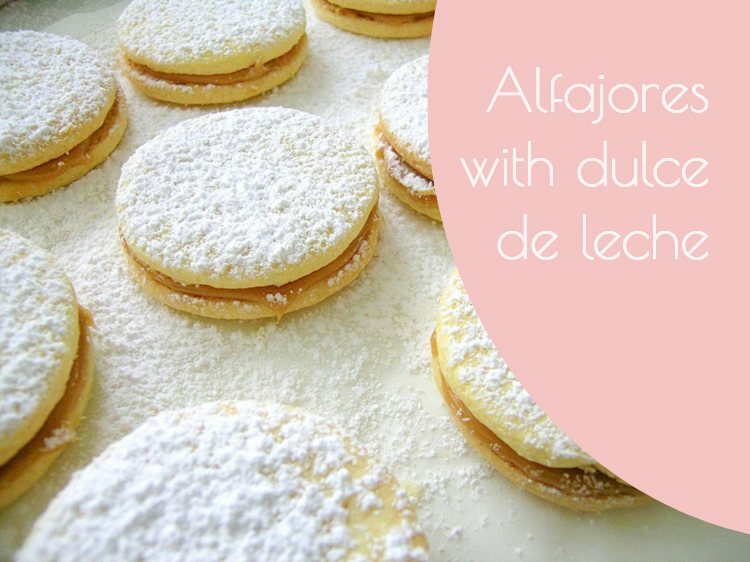 There are two kinds of alfajores: the ones you may find in bakeries and those you can buy in a kiosk. The essence is the same, a snack made of shortbread-like cookies sandwiched together and filled with jam, mousse or dulce de leche. The difference is mainly that the former is more homemade-like, usually smaller and served in a carton tray. These can be taken to social gatherings to share. The latter is sold by the unit in kiosks and is usually larger. Traditional brands include Havanna and Cachafaz. Alfajores were introduced by the Spaniards during the colonial days but were in fact taken to Spain way before by the Arabs. After a large steak, why not dive into Argentine sweets? Many desserts are offered at restaurants, but the most typical are flan, budín de pan, arroz con leche, and queso y dulce -a slice of cheese and a slice of quince or sweet potato paste. Local ice cream is also a must, as it follows the Italian style -creamy and thick. Ice cream parlors are very popular, and they usually serve cake and coffee as well. Don’t miss the dulce de leche ice cream, it’s a once-in-a-lifetime experience! Argentinians consume around 5 kg of it per year. Mate is not a typical infusion, as it can be shared among several people. Basically, hot water (though not boiling!) is poured into a hollowed-out gourd (it can be made of other materials) containing yerba and sipped through a metal or cane straw-like device called bombilla. The same person pours throughout the whole process, but they all take turns to drink the water. So, apart from the actual flavor, having mate is also a camaraderie experience. And this happens everywhere: in parks, at the office, at home. The taste of yerba mate is bitter, so many people may add sweetener or sugar; this can be argued before the mate is made and it can be a deal-breaker for those we prefer the real flavor. Yerba mate is an herbal and caffeine-infused drink.